schtruck wrote: Describe what s happen please? well, for certain i am unable to set the framelimiter level. something that doesn't always happen when i try to set it, is it brings up the cheat menu, or something like that next time i see it i'll take a screen shot because i can't recreate it atm. if that doesn't happen it just kicks me out of the menus OR, just kicks me from the application all together. 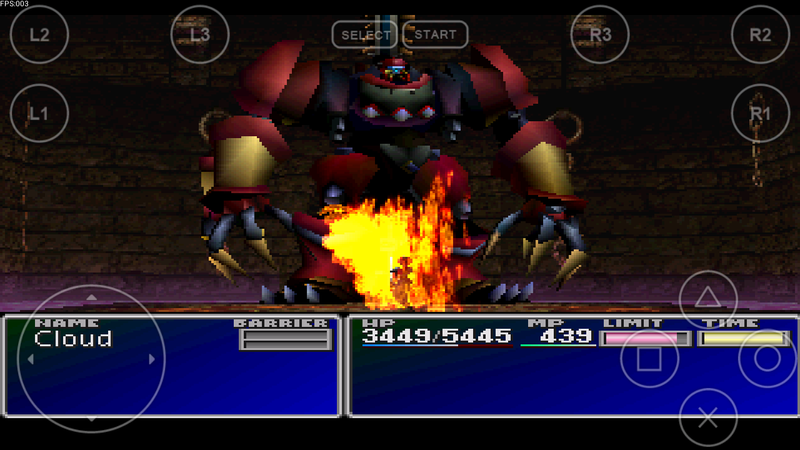 i've buy your app on the playstore and burn my FF7 .bin to play with. but it change nothing, or quite nothing. if anyone has a solution please help cause i've spend hours to try fix this in vain. 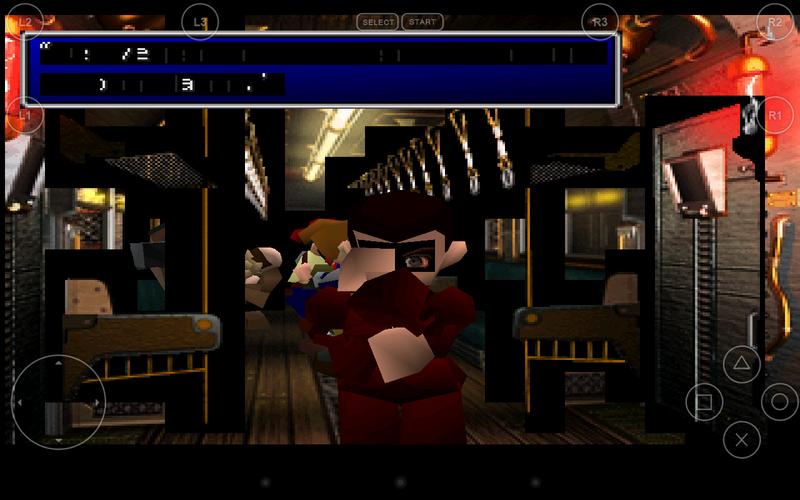 just installed your app on my nexus 7 and want to play final fantasy 7 but i get weird black textures. I'm on the latest version, 0.11.81, and I'm nearing the completion of FF7 (on disc 3). During the Special Battle at the Battle Arena, any spell the final boss casts causes a freeze. It also freezes if I cast Knights of the Round summon. It did not crash when spells were cast in battle in previous versions. FPse needs some revision to fix current version problems re: spells cast in battle. I should note that I did not have the problem using Open GL. This problem is found using Software mode. i wish OpenGL worked for me. i think it would be my most used app at that point. i turn up here from time to time now to see if anything has changed. getting ready to look for an alternative app in the interim. Surprised to say I'm having issues running OpenGL mode on my Nexus 4 (snapdragon s4 pro, Adreno 320). I've tried messing with the settings but i'm not sure what a lot of them mean. Main issue is every time I change areas in game (moving from one edge of the screen to the next area) I get a full screen graphical issue for about 2 seconds. (see attached screenshot). As well as various artifacts while running around, and a bit of lag whenever I get into a battle. Are these just expected issues because the emulator is not optimized for my hardware yet, or are they fixable? Also having really weird sound issues in either openGL or soft mode, similar to what others have posted before. Music is a bit off, certain sound effects distorted, etc. Tried modifying the .dll entries in the .ini file like suggested on the first page, but not sure if it helped. If anyone has had success with certain options/plugins/etc please let us know! I am trying to run FFVII on my S2, Running latest OS and latest FPse. I have read through this thread but there doesnt seem to be an updated post which explains what steps to take to actually get it working. Is anyone running this correctly on an S2 and if so how do they have it configured? Seems like one of the latest updates (Around Feb. 12th) resolved a lot of issues with OpenGL with the Nexus 4's snapdragon s4 pro processor. My screenshot 2 posts up depicting the full screen graphical artifacts while switching between areas no longer happens. The only issues that I experience now are the funky sound issues (I'm thinking this might not be resolvable), and the 1-2 secs of lag when getting into battles. loulou wrote: On software rendering I see more freezes during limit breaks, particularly omnislash, when I've not been using a memory card save for a while so could be corrupt save state. Not sure if resent updates have fixed this though, was just a bit annoying when I was doing a session in the battle square. I'm having the same problem with omnislash. After 5-6 attacks, the FPS absolutely plummets, making omnislash basically unusable in software rendering, which otherwise seems so much smoother than opengl on the S3. Anyone else having this issue?